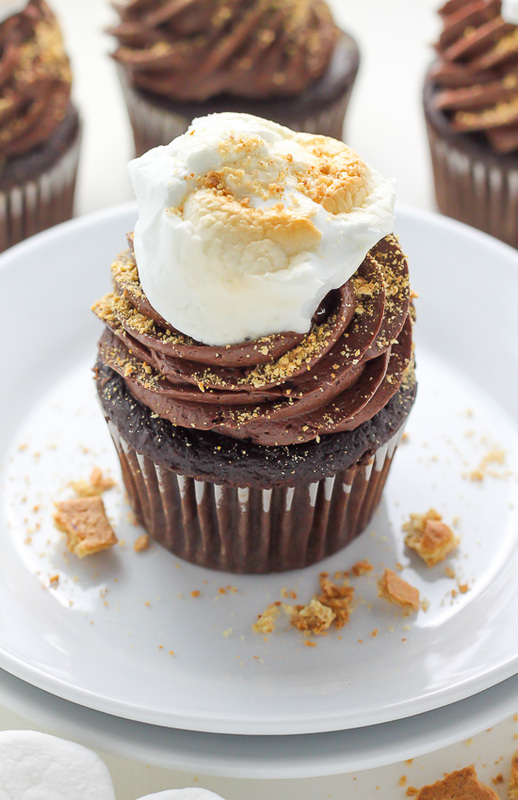 Moist and Flavorful Chocolate Cupcakes are stuffed with Nutella, topped with a Silky Chocolate Buttercream, and finished off with Graham Cracker Crumbs and a Toasted Marshmallow. 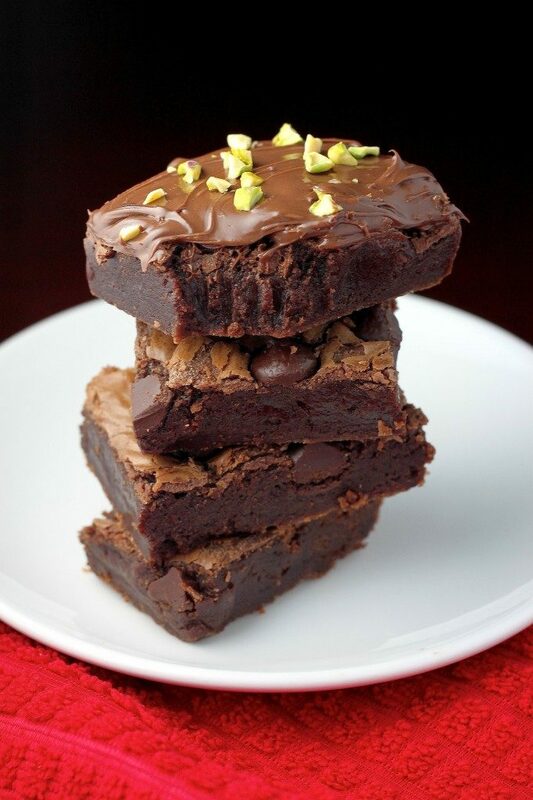 Do yourself a favor – make these today! 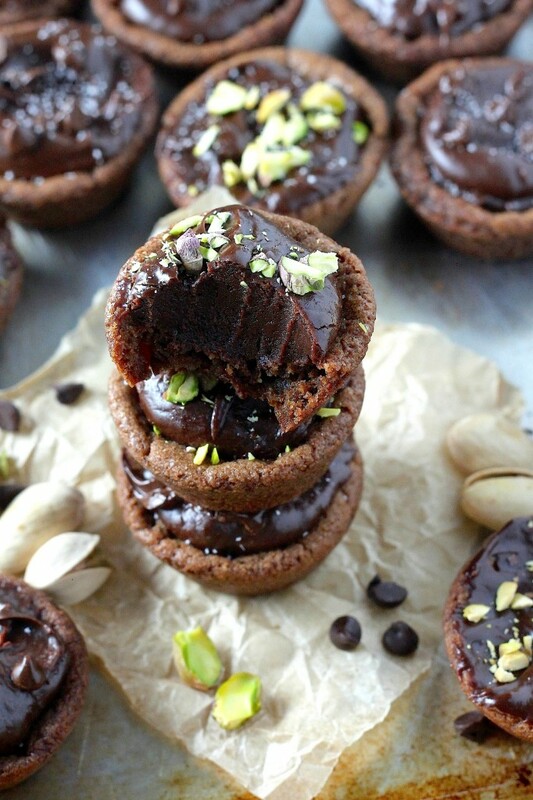 The base of this chocolate cupcake recipe is nothing new. It’s almost exactly the same recipe I use for my Super Decadent Chocolate Cupcakes. 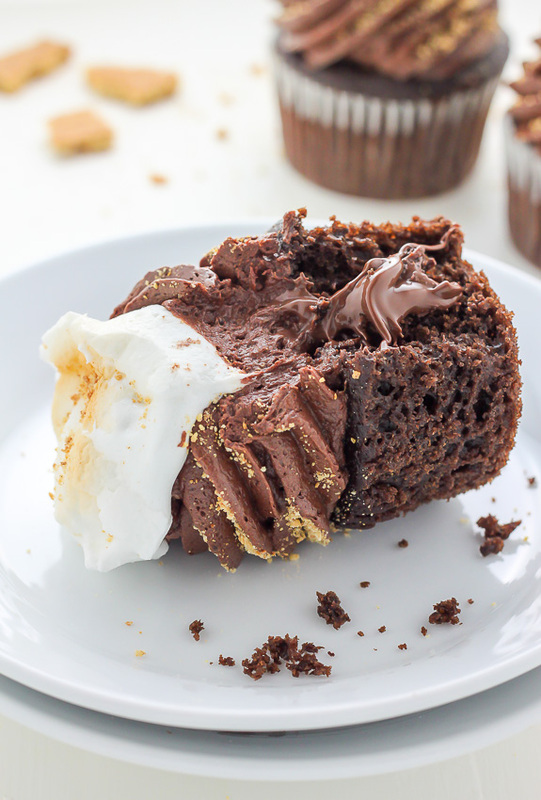 This recipe yields fluffy, rich, ultra moist cupcakes that explode with chocolate flavor in every bite! Many of my friends (and readers!) 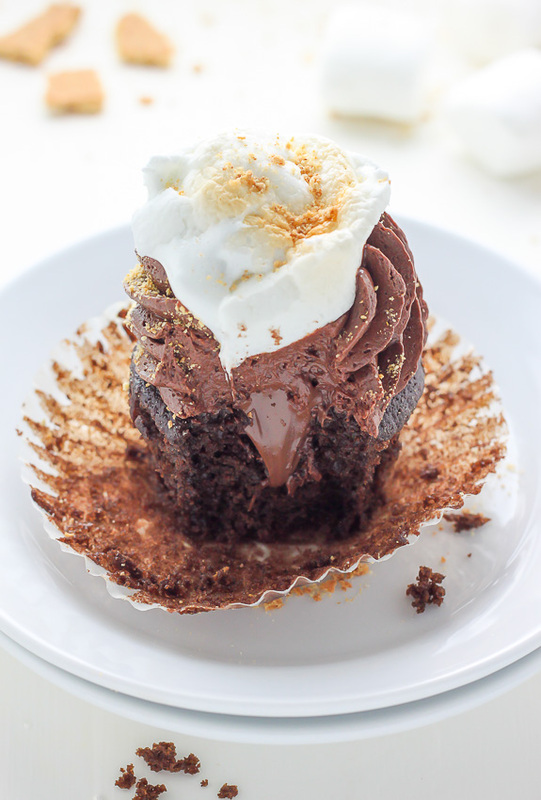 tell me it’s the best chocolate cupcake they’ve ever had – and I agree! Alright. Back to business! Next up we have our Chocolate Frosting. This recipe is very easy and quite basic. 1) Bring your butter to room temperature. You can do this by simply leaving the butter out on the counter for an hour or so. Soft butter = creamy, dreamy chocolate frosting. 2) Sift your confectioners’ sugar and cocoa powder. This step is important because confectioners’ sugar and cocoa powder tend to have a lot of lumps and bumps straight out of the package. Sifting (I like to use a fine-mesh strainer here) will break up all those bumps, ensuring a silky smooth frosting. 3) Once all of your ingredients have been added to the bowl, whip the frosting on medium-high speed for a good two minutes! This whipping process is what adds that light, fluffy, almost airy feel to frosting. It’s a must! 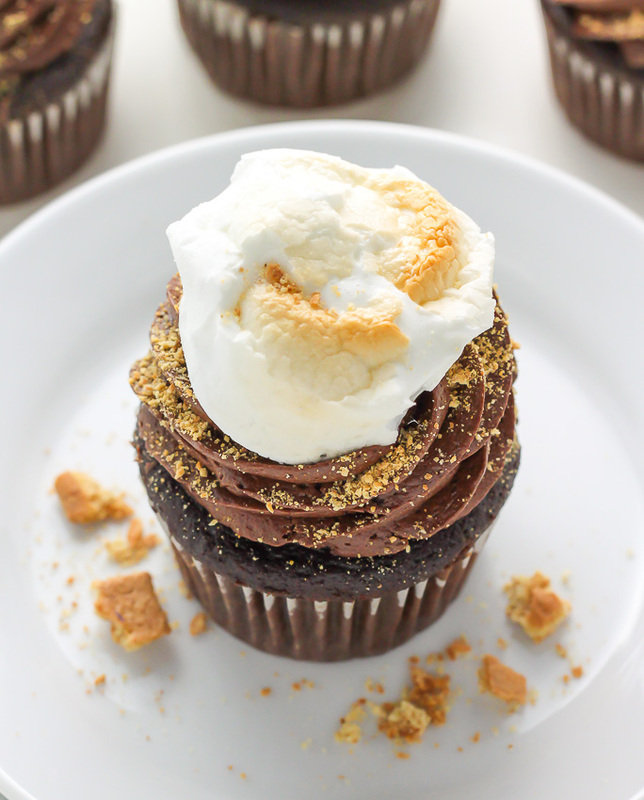 The final two steps in our s’mores cupcake adventure are surely the easiest! 1) Purchase a box of graham crackers and smash them up by hand (or food processor). 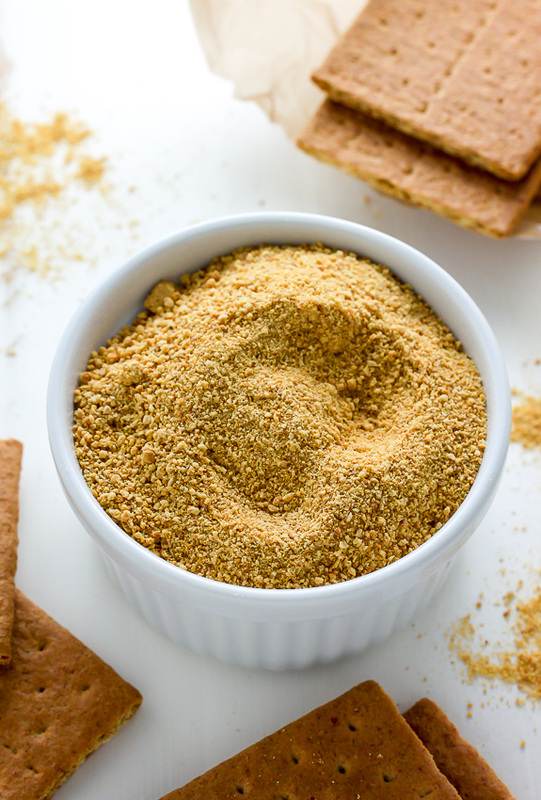 2) Purchase already made graham cracker crumbs (typically found in the baking aisle) and sprinkle them right on! 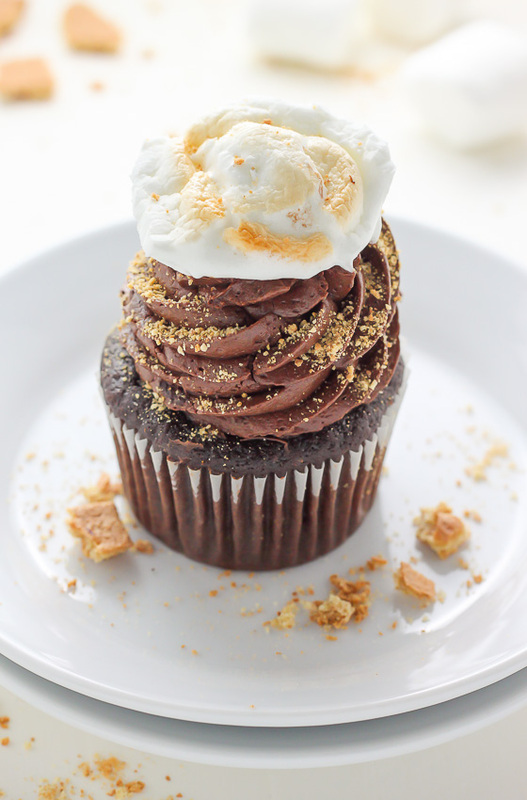 1) Place a marshmallow on top of each of the cupcakes, then use a blowtorch (kitchen torch) to char the top of each. 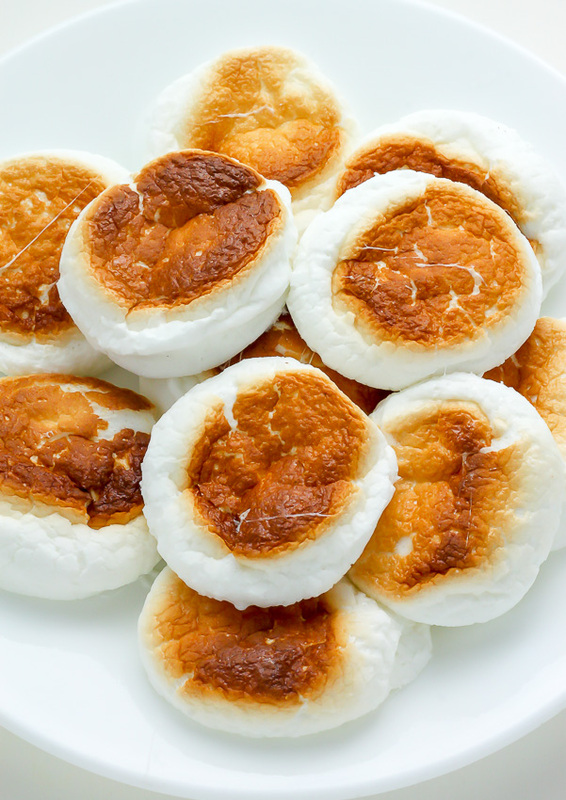 2) Preheat the broiler, place the marshmallows on a large baking sheet, and pop them in the hot over for a few seconds. This is the method I use (I don’t trust myself with a blowtorch!) but both will work. Spoiler Alert: These cupcakes are going to blow your mind. S’mores + Nutella = YES. P.S. 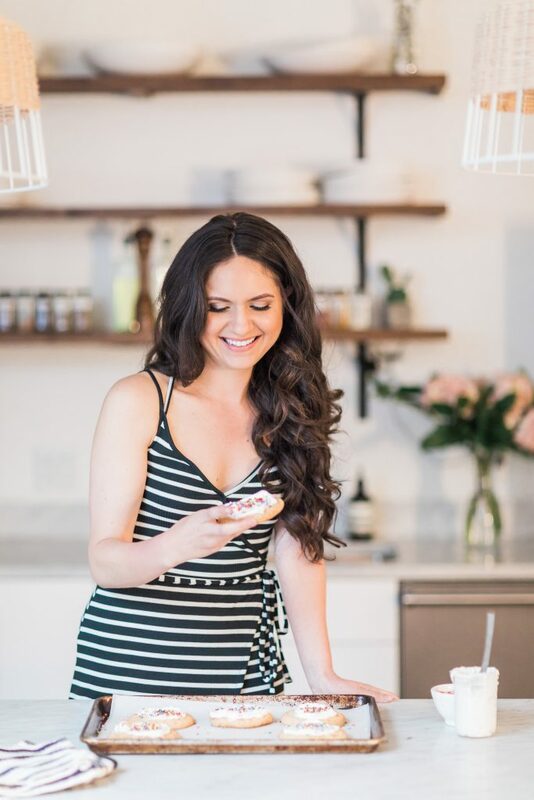 I know there are a lot of steps to this recipe, but I promise, they’re easy as can be! If you have any questions about a part of this recipe (or any recipe on this site) please ask away in the comment section below. 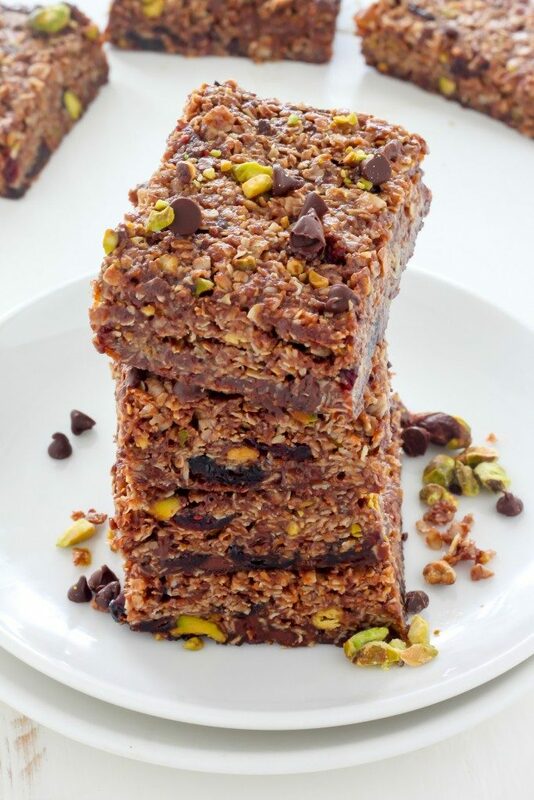 If not… grab your ingredients and get baking! In a medium-sized bowl combine the flour, baking soda, baking powder, cocoa powder, and salt; stir together until thoroughly combined; set aside. In a large bowl, whisk together the eggs, yolk, sugar and vanilla together; beat until smooth. Add the cooled oil/butter/chocolate mixture and whisk until smooth. Add half of the flour mixture, then half of the sour cream. Repeat the process until everything is added, and be sure to mix until JUST combined - then quickly stir in the hot water. It's important not to over mix, here! Just stir until evenly combined. Divide the batter among the 12 liners in your prepared pan. Bake for 17-18 minutes, or until a toothpick inserted in the center comes out clean. Cool *completely before filling with nutella and frosting. Once cooled, use a small sharp knife to carve out a small hole in the center of each cupcake; do not discard the carved out cake piece. 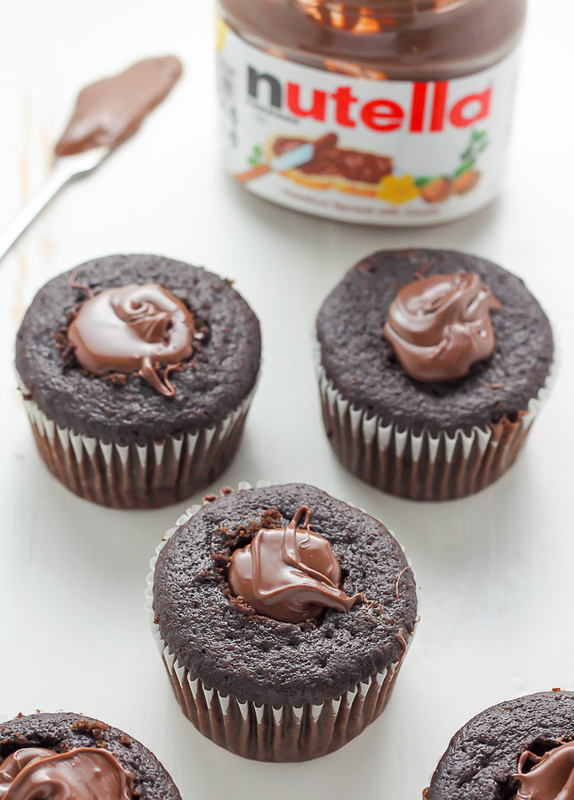 Fill each hole with two teaspoons of Nutella, then cover again with the carved out cupcake piece. Set aside and make the buttercream. Using a handheld mixer OR a stand mixer fitted with the paddle attachment, beat the butter on medium-high speed until creamy; about 2 minutes. Reduce speed to low and slowly add the sifted sugar/cocoa powder, alternating with the sour cream and milk, then add the vanilla and salt. 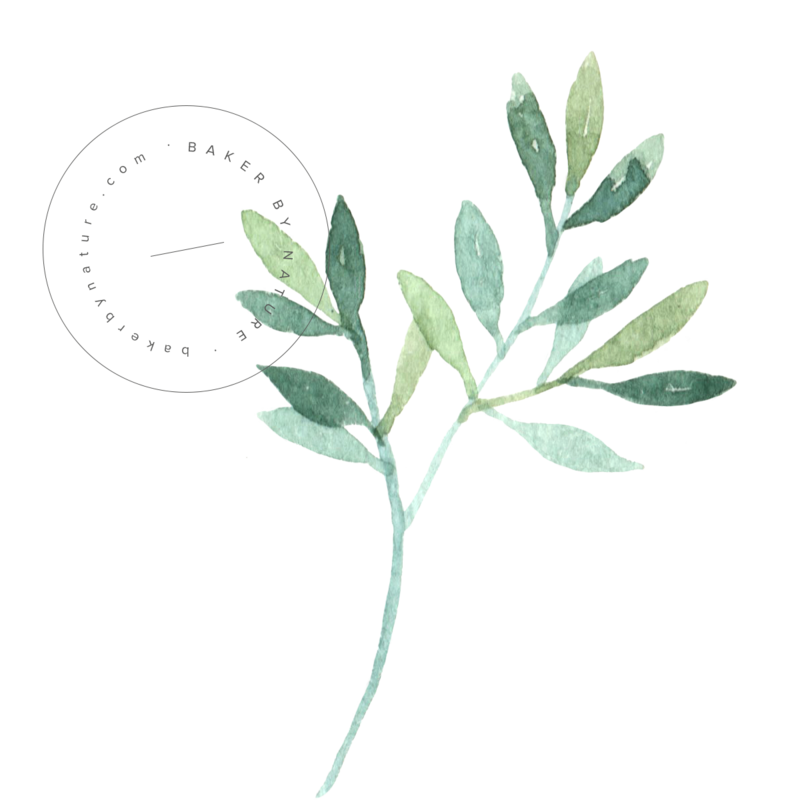 Once all of the ingredients have been added, beat on high speed until light and creamy and combined; beat for at least 1 minute on high-speed. Place the marshmallows on a large baking sheet; set aside. Position one of your oven racks right below the broiler; preheat your oven to broil. 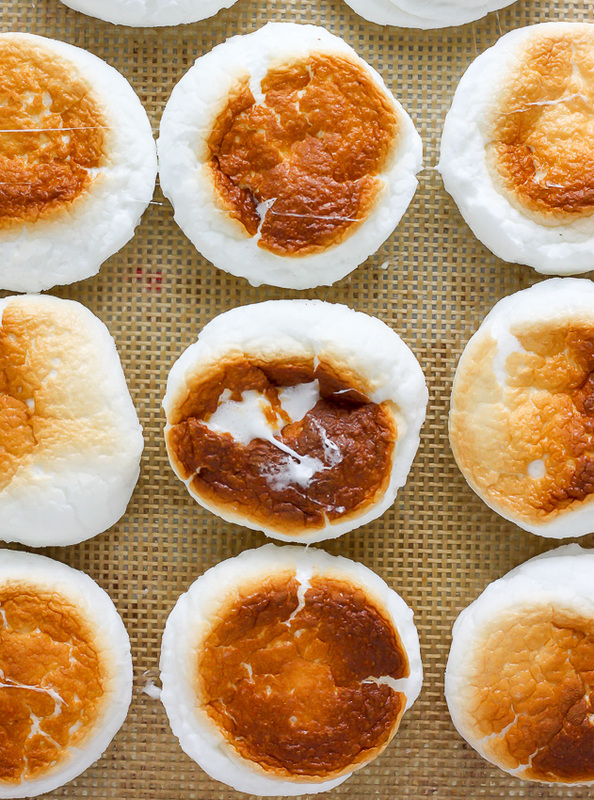 Once the oven reaches the broiler setting, place marshmallows in the oven to toast. Warning: The marshmallows toast almost immediately - so stay right near the oven! Once browned, quickly remove the pan from the oven and let cool for a minute or two. Using a spatula remove the marshmallows from the pan and place one on top of each frosted cupcakes. Serve at once for the best results! Frost cooled cupcakes using a piping bag or knife. Top freshly frosted cupcakes (you want the frosting to still be sticky) with graham cracker crumbs, then press a toasted marshmallow on top. Cupcakes will keep, in the fridge, in an airtight container, for up to 4 days. 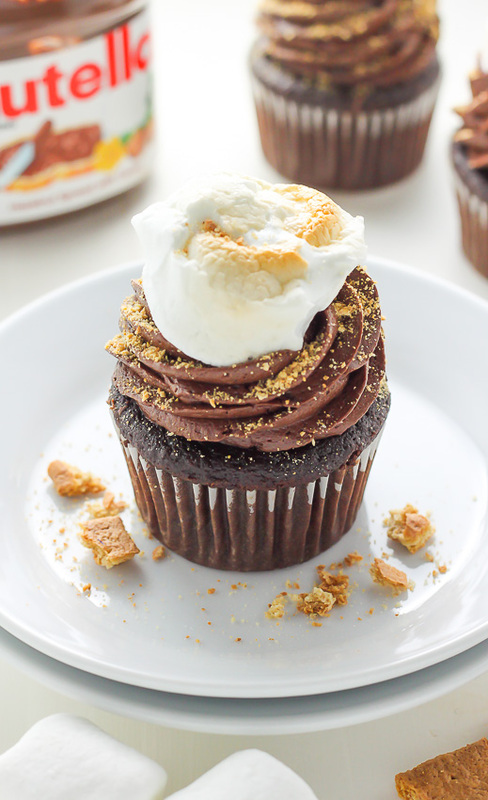 Nutella and s’mores sound good together on their own, but in cupcake form? I’m sold 🙂 These look fantastic, especially with all the nutella in the middle! These cupcakes look so beautiful! OMG! 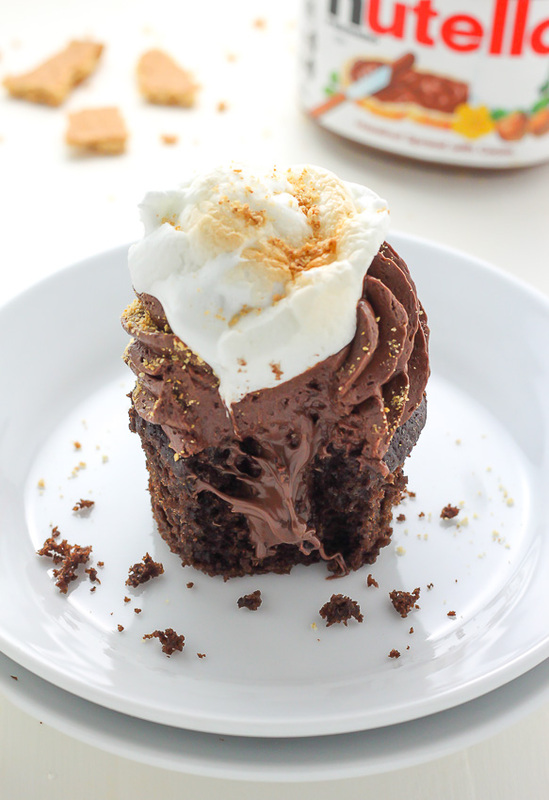 You totally had me at nutella and then you went and added the s’mores part! 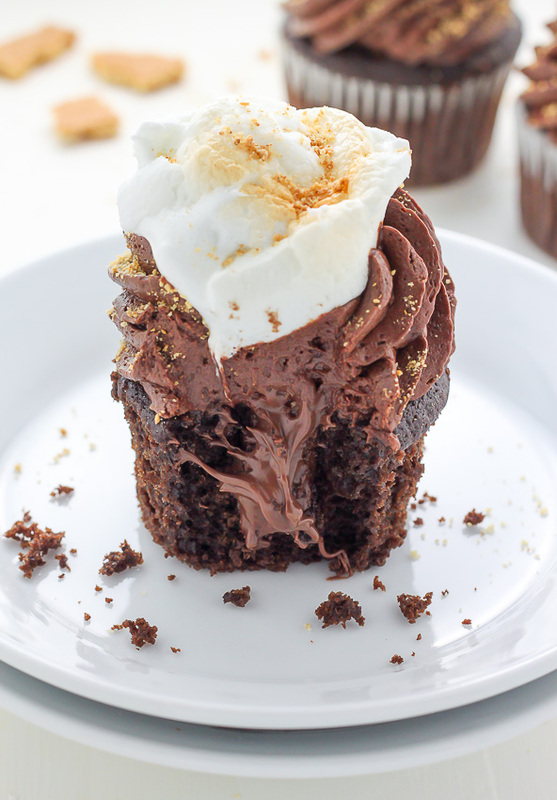 The nutella definitely bumps these s’mores cupcakes into a whole new level of decadent 🙂 Thank you, Tori! These cupcakes look delicious! How many cupcakes does the recipe make? Hi Leah. I got exactly one dozen 🙂 Enjoy! Hi, I am super exctied to make these. However, I am a little confused about step 5. Am I supposed to add coffee? Someone made these and brought them in to work today. They’re the best cupcakes I’ve ever eaten and I eat a LOT of cupcakes. I made these cupcakes a few days ago, they were amazing! Took some time but well worth it. My family loved these and after the first day you can put them in the microwave for 15 sec. and they taste better then fresh. Everything gets gooey and warm, Yum. Just wondering how the marshmallow will taste after a few hours of sitting out? Do you have to serve these cupcakes immediately in order for them to still be good? Hi Rebecca. These cupcakes will stay fresh and delicious for up to 6 hours at room temperature. You can also store them in the fridge, covered, for up to 2 days. The marshmallow will firm up after a while, but I’ve never had anyone complain about it.